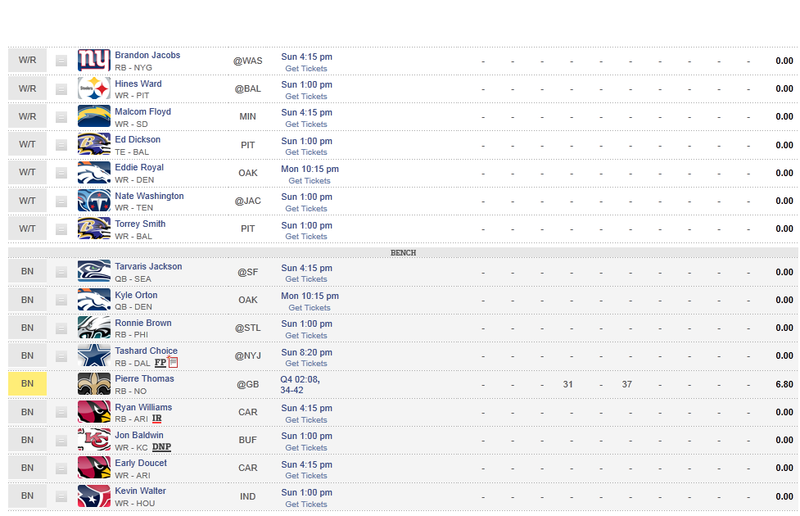 Post your draft picks in your NFL Fantasy League! So many things, how many people are in your league?? I have 10, the standard league on ESPN. Actually, it strikes me as very funny because the same thing happened to me last year. I had Arian Foster benched (really expected him to be a flex RB) then proceeded to cry when he was the points leader Week 1. As a side note, my brothers 1st RD draft pick was Cam Newton because I have no clue... one amazing debut does not a star QB make. I'm not sold on him being a big pick quite yet. 20 player league, split into 2 conferences of 10. Each player is available in each conference. Hahaha you picked mine and Frankie's teams as your defenses. 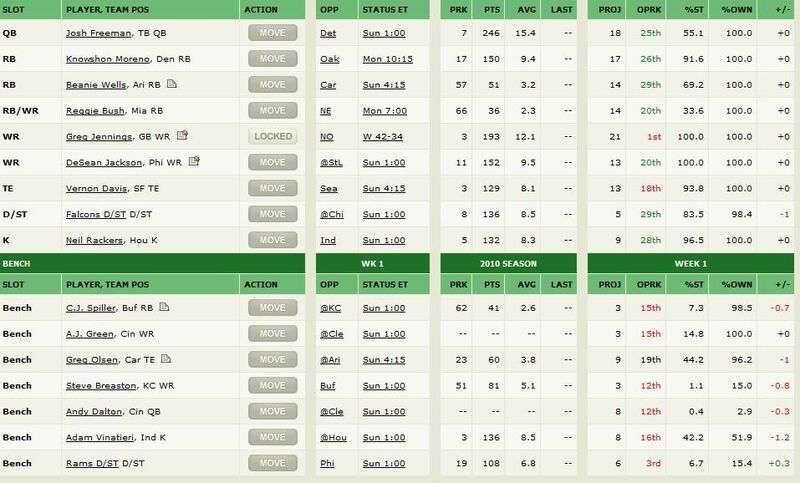 I actually had to work on draft night, so I didn't pick my team save for my 5 keepers. 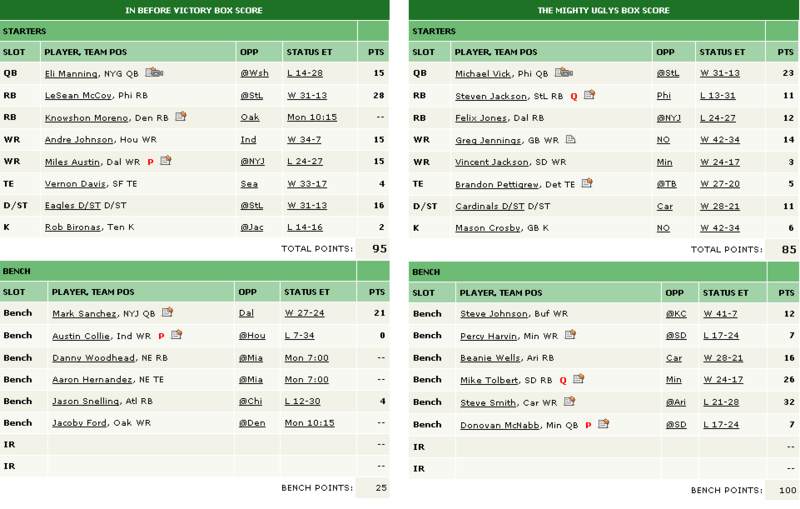 My starters also scored me 180.2 points this week and with one guy playing tonight. Cha-Ching, $5. EDIT: SOMEONE KILL THE PATS! 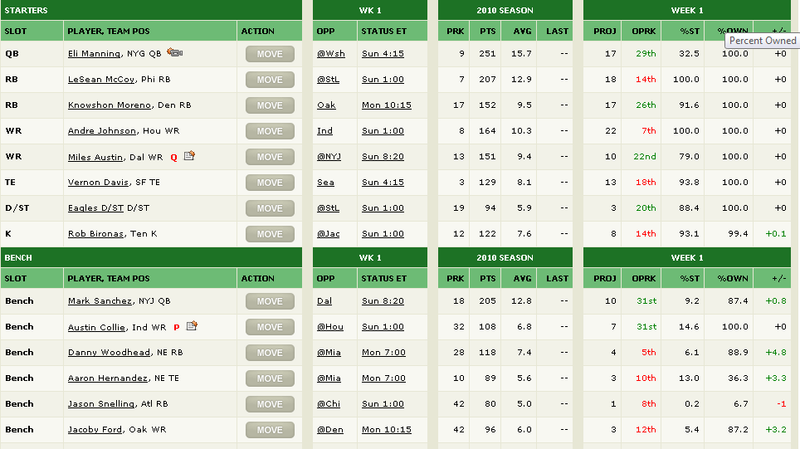 Another guy nabbed almost 100 points from Brady, Welker, and Gronkowski... 194.1 is his total. 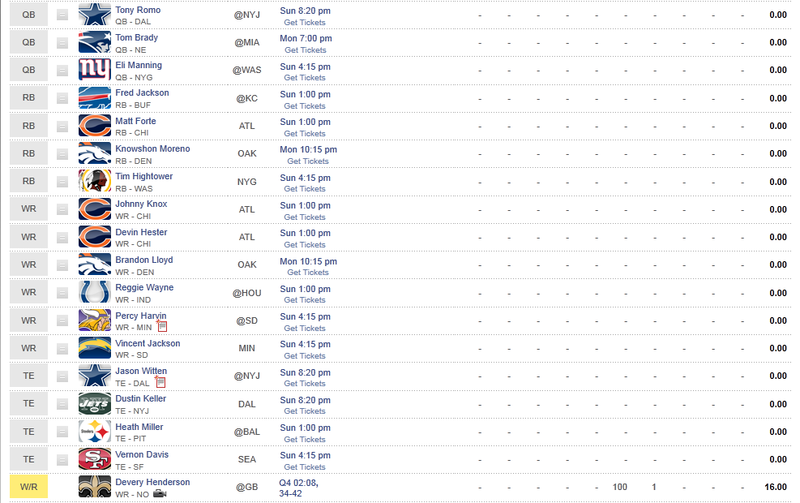 Subject: Re: Post your draft picks in your NFL Fantasy League!